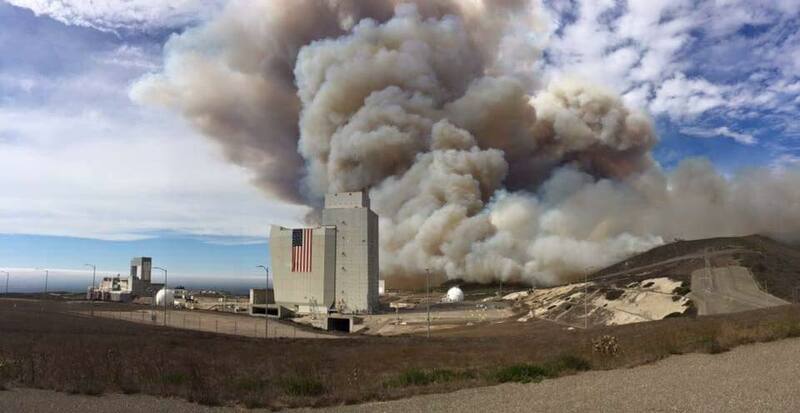 As firefighters continued to battle the Canyon Fire at Vandenberg Air Force Base, a second blaze broke out on the Santa Barbara County military base. Dubbed the Washington Fire, the second blaze is much smaller, but it started at a more central location at Vandenberg. The Washington Fire broke out Thursday afternoon on the main base, according to the Vandenberg Fire Department. Heavy winds caused the Washington Fire to spread, but it has only burned about 300 acres, and officials expect to have it fully contained Friday. It appears the Washington Fire was caused by a power line that fell due to high winds. The fire was burning near the communications squadron building. There is disagreement among officials as to whether the Washington Fire prompted mandatory evacuations. Santa Barbara County fire officials said some building were evacuated. 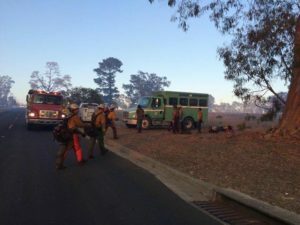 Lt. Col. Ryan Novotny, the Vandenberg fire marshal, said base personnel were allowed to go home early on Thursday as a precaution and in order to give firefighters better access to the area. The Washington Fire never was an immediate threat to base housing, Novotny said. After the Washington Fire erupted, smoke poured into downtown Lompoc. Ash also fell in the area. The Canyon Fire, which has been burning since Saturday, is currently 90 percent contained. It has burned 12,500 acres.